LawnSpa provides lawncare services for the Southside of Metro Atlanta. We offer mowing, edging, and special projects.LawnSpa provides lawncare services for the Southside of Metro Atlanta. We offer mowing, edging, and special projects.LawnSpa provides lawncare services for the Southside of Metro Atlanta. 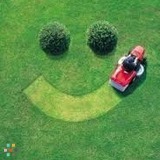 We offer mowing, edging, and special projects.